Anyone else think it's ironic you have to pay for information about free energy? They are promoting this movie against capitalism and are trying to expose the "powers that be" - yet they shroud this movie in mysticism (given to build anticipation and hype) and want to charge us to download it? If they were sincerely hoping to bring this information to the public - they would post it on youtube for the world to see and if it is so groundbreaking it will go viral and the worlds population would be enlightened (and a lot of people would happily donate to the cause) - but I guess that is not truly what they wish to do. As Dr Steven Greer is close friends with the Rockerfellas doesn't this raise any red flags that he might just be trying to push his own agenda to make money? Is there even anything even groundbreaking in this documentary? I've seen them discuss his own family life, the searle generator, and how aliens want peace. What actually is new here? And if the government agencies were in a cover up of some sorts - and the aliens did actually want peace, why aren't the governments working towards this goal? You need to purchase it. $9 odd dollars to "rent" it online, or $19 odd dollars to purchase the dvd. And about $8 to purchase the iphone/android app to contact the aliens. All available from the sirius disclosure website. I downloaded it, played for about an hour, had to stop and now it won't start again. Although your supposed to have 72 hours to watch it. Theres NO WHERE to go on the site for problems and /or Contact should the need arise! However, aaside from too much time being focused on one individual, I'm jazzed about the content and fact it's considerably more mainstream and has an impressive list of True expertsin their respective feilds who are either a part of the process or are providing their educated examination of data and evidence for consideration and review. This may well be the Dam Breaker! 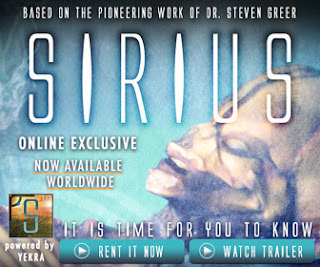 There is no way I am paying to watch this claptrap and to line Dr. Greer's pockets even further. I'll watch it out of sheer curiosity when it's offered on whatever site for free. I'm a wee bit disappointed, in as far as if this was so groundbreaking,astounding, & compelling astory to the world at large,for the Peoples "right" to be informed, then WHY? is it being capitalized on?? It needs to be FREE, as the "FREE ENERGY" they promote! ?..and it DOES exist!! then one would think DONATIONS WOULD flow, in support,and keep flowing in the interest of achieving..FREE ENERGY!! After all, would we prefer to keep our "POWER BILL" or DONATE, towards FREE ENERGY! ?..No more POWER BILLs! !..An ease on the rising cost of living, An ease in manufacturing.New electric motor vehicles, An ease on OIL!? Keep our bills, & our ENSLAVEMENT to pay ALL! !...if you can!? There CAN be, a better way of life and its long overdue. The dude just made quite a bit of money. I haven't seen this yet but I will and for free I may add. Anyways the little skeleton that was found turned out to be a Human mutant and not Alien as peddled by Dr Greer. The geneticist who carried out the testing did admit that it was or is a one of the kind anomaly human that was tiny beyond belief and which lived years after birth. This being said Dr greer built up hopes of the many for financial purpose by saying from the start that it was extraterrestrial in origin. Also he is still trying to say it is because of his own medical background. He now seems like a cult leader who dare not be questioned. I have been told and read about. Aliens are and have been experimenting in hybrid human/Alien breeding for whatever reason. It may be the case here, so Dr Greer maybe right in that respect but he does Smell of a money making con merchan. I hope not, would like to think he is a good man with a high moral agenda. Let's hope that he and the other people who what Full Disclosure about Aliens visiting Earth do a great job of convincing the world at the Hearings on the 29 of April up to the 3rd of may in Washington in the next few days. I think the time of Truth is very near. Extraterrestrials are real and are visiting earth right now. Watched the video. At end of video, they will explain where your contribution goes to.